She lied. I think Hla Nu Htut would be right. I presume that May Myat Noe's mother is greedy....I saw her greediness on her face. May Myat Noe has been lying because of her mother. Whatever they are accusing to the organzation is groundless. They know what they have done in Korea. 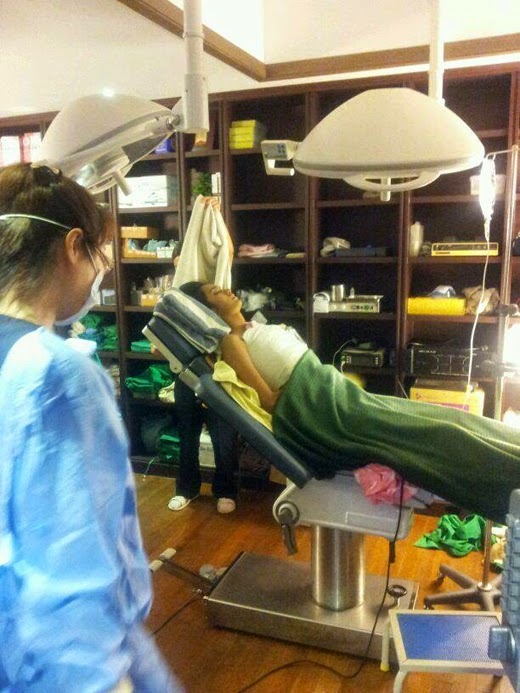 Nobody knows about May Myat Noe's operation. The case of giving crown to May Myat Noe is upon to officers of Korean Miss Asia Pacific World. Why did officers gave crown to May Myat Noe even they knew that she is disqualified for crown. She's just a Burmese young girl. Those rich officers should not oppress and insult to May Myat Noe along with this country name: "Myanmar". You, officers have eyes and ears, right? 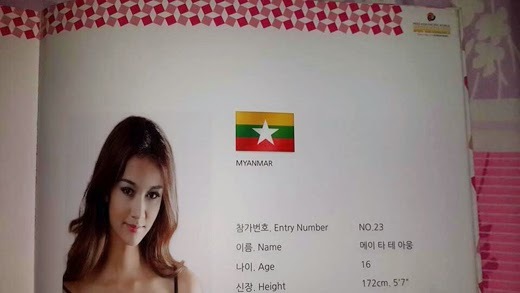 May Myat Noe should claim and report to Miss Asia Pacific World through Korean Embassy, Myanmar for threatening and humiliating her. I don't think May Myat Noe is lier, because most of Nurmese girls has their own nature beauty n no Burmese girls needs to do any operations for theirs body repair.Don't be jealous n don't be caus to hers suitable crown. The room does not look like a proper Operation Theater, you can see the improper flooring and the room is not neat and tidy. If you look carefully in that room, there's one person hiding at the other side of the lady, trying to cover his/ her face with a piece of cloth lifting and holding in his/ her hand. His/ her dark blue trousers and white socks were seen below. He/ she has no operation suit wearing, no gown, no mask. Can a person stay like this in an operation theater? Even the drip set seemed in the wrong place, it is in doubt whether the length of the drip set can reach one of the lady's hands? 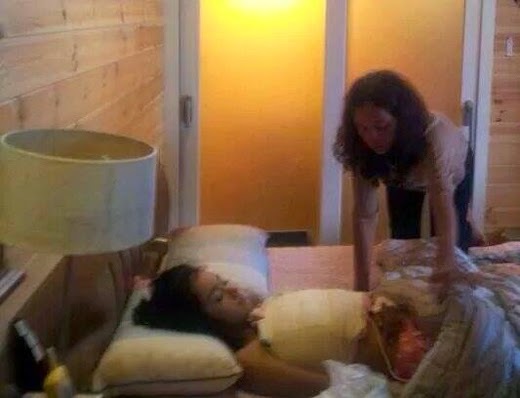 Could be a fake photo, Or if it is a true photo, I would say, Koreans tried to do the improper operation in a sub-standard room. There is a question of whether it is legally acceptable, if it is a true photo? not sure about that.